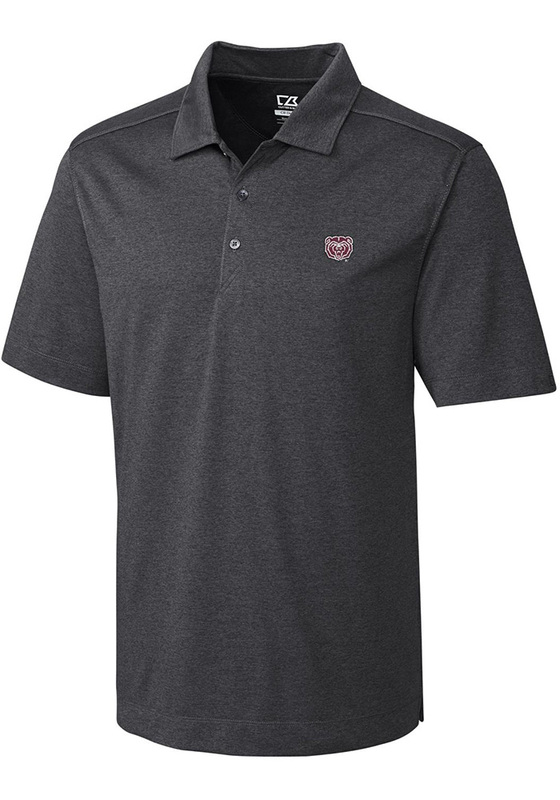 Showcase your Missouri State Bears pride at the office or on the golf course in this Cutter and Buck Grey Chelan Short Sleeve Polo! You'll look sharp in this Bears Polo, which features a team embroidery on chest. This MO State Grey Chelan Short Sleeve Polo Shirt is the perfect update to your professional wardrobe. I absolutely love this polo shirt. It is so soft! It washes really well and looks new every time I put it on. The fabric is very soft with a heathered color. Fit is accurate, not a slim fit or a relaxed fit. Just right.